When Zoe, a brilliant young scientist who specializes in identifying extinct viruses, is offered a job at a remote research facility in Antarctica, she soon discovers her employer has unearthed a perfectly preserved Neanderthal. 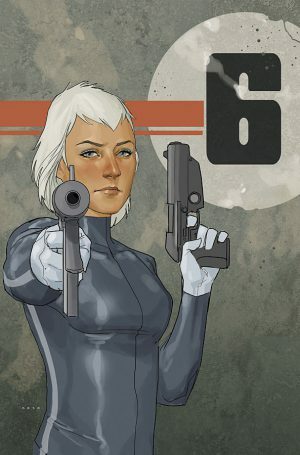 That is only one of the many dark secrets lurking at the facility as Zoe races against time to stop a global pandemic. 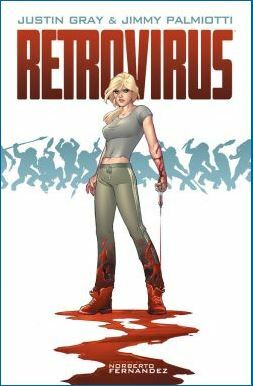 In the vein of Andromeda Strain, Altered States and Jurassic Park, RETROVIRUS seamlessly blends human drama, action, science fiction and horror in a 64 page graphic novel written by JIMMY PALMIOTTI & JUSTIN GRAY (QUEEN CRAB, JONAH HEX, CREATOR-OWNED HEROES) and illustrated by NORBERTO FERNANDEZ (THE TATTERED MAN). 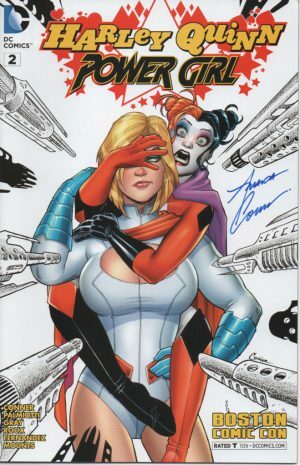 THIS EDITION COMES SIGNED BY JIMMY PALMIOTTI for $18 plus shipping.